Practice and understand the theory of the core aspects of Mindfulness Training: Steadiness, presence and wisdom. 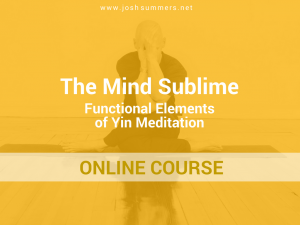 Explore “Yin” aspects and approaches to meditation, developing “Yin” qualities of mind and heart: Receptivity, gentleness, compassion, reflection, stillness and silence. This Module will be structured around the Buddha’s core teaching on Mindfulness – The Satipatthana Sutta – The Sutta on the Four Foundations of Mindfulness. This text provides a treasure trove of material to share with students in a Yin classroom. Meditative themes will include theoretical and practical approaches to these Four Foundations: Body (kaya), Feeling tones (vedana), Mind-states (citta), and Categories of Experience (dhamma). 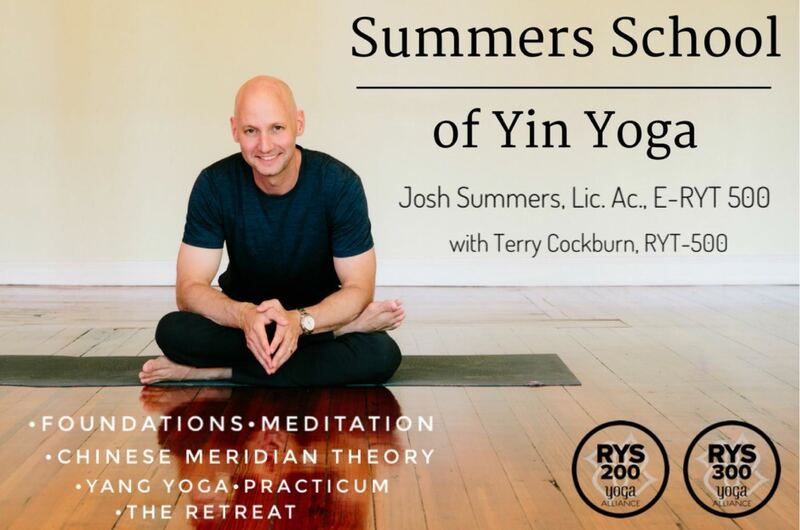 As a Mindfulness teacher, longtime Dharma practitioner, and acupuncturist myself, I was looking for a Yin Yoga teacher trainer deeply rooted in the Dharma, Chinese Medicine, and Yoga. Josh Summers is the teacher that I was hoping for and looking for. He is the genuine article. I loved his course content, his open non-dogmatic approach, his depth of knowledge on all three core areas, his clear presentation, and his skill, commitment, and relaxed humor. I genuinely cannot recommend him highly enough. I’m looking forward to the next module. 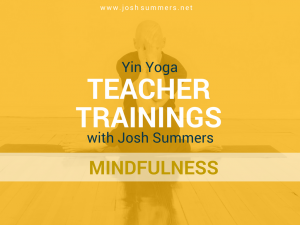 I recently completed the Josh Summers’ Mindfulness Module – it was brilliant! It was so interesting to look into the Buddha’s teachings and explore a new approach to meditation, but I think perhaps even more enlightening was Josh’s way of teaching. The course was interactive and experiential, with time to practice, reflect on, and discuss our experiences with Josh and the other trainee teachers. Josh’s passion for the subject is contagious, his classes are well-planned and well-executed, and he encourages us to question what we “know” and discover new ways to practice. We were all disappointed when the course came to a close, eager to share what we learned with our students, and to learn more! I’m really looking forward to completing the next module, and can not recommend Josh’s courses enough.